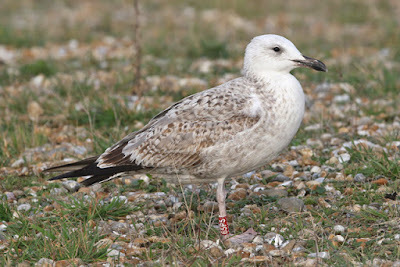 Alan L called up as I was heading down the M20 to say the red-ringed 1st-winter Caspian Gull 65P5 was still about. Armed with a dozen loaves of bread, it was going to be in for a good Sunday lunch with my arrival. And it did indeed duly oblige, deciding to stay in the puddles and point roost area all day - quite a large bird, aggressive at times but still on the placid side for a Casp. Relatively classic, though the central and outer greater-coverts on the pale side at the feather bases. You can see that this first-winter is extremely advanced, and initially I had to double take on its age, largely on the basis of its advanced bare part colouration. Anyway, its certainly a quick developer because when seen at Stanwick GP, N'hants on 10th September it had already extensively moulted through its scapulars and several median coverts. Not recorded since then, but if you were trying to find the cleanest looking 1st-winter Caspian Gull in early November, you'd be hard pressed to find a better looking candidate. 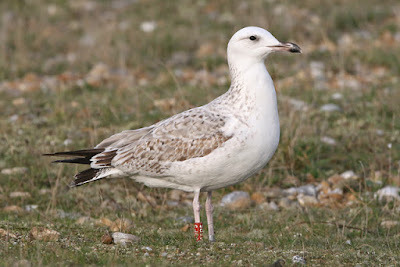 A pretty beautiful looking gull! 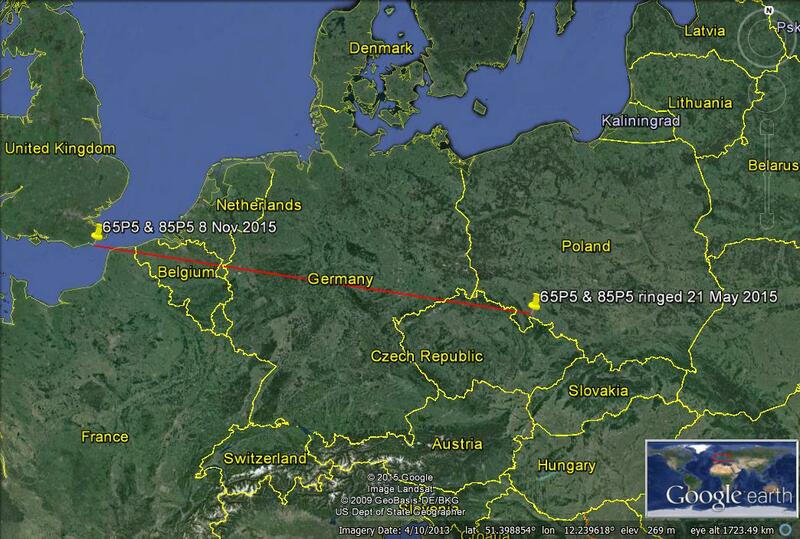 700 mile straight line distance from the colony at Kozielno, Gmina Paczkow, Poland to Dungeness. Both 65P5 and 85P5 were ringed on 21st May 2015 as chicks in a predominantly Caspian Gull colony. Anyway, both these birds come from southwest Poland and were ringed by my friend Jacek Betleja - a great guy who spends time and effort ringing his colonies to keep people like me happy in the winter. These two birds could well be siblings, as they were both ringed on 21st May 2015 as chicks. But Jacek commented on that date he ringed 200 chicks, and though the ring sequence is so close, it'll never be known if they're siblings or from adjacent nests - this isn't recorded. I'll have to do a few photo pieces when I get a bit of free time to edit all the photos!